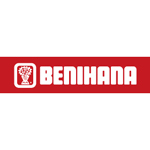 He was born as fourth son of Yunosuke Aoki who built the global restaurant chain “BENIHANA” in one generation.in 1961, he studied in the United States at 18 years old. From 1964, he supported his father, Yunosuke and made the foundations of U.S. branch of “BENIHANA OF TOKYO”. In 1971, opened “GASHO OF JAPAN” of the house with a rafter roof in the suburbs of New York. It was written by the one of side of the New York Times. He finished life in America for 39 years, and came back in 2000. He makes efforts “BENIHANA” in japan rebuilding and he works on cultivation of the young manager and with utilizing a wealth of funds, built the town of “tree house” in Karuizawa. While the appeal of nature protection, he hopes to convey to future generations the pleasure to live in the nature. It has been a long time since Aki Nakamura introduce me to you. I am planning a trip to Japan to pay my respects to Aki and Hidecki Iwana family. It nice to see you are happy and well. My husband past away 5 years ago. Our son Adam has his own company and has made Inc. 500 3 years in a row. He is a lot like his father. Adam,Victoria and I will be going to Japan. I would love him to meet you. If you recall he was 2/3 years old last you visited our estate in CT.
We sold it and my home I just sold to Adam. This is my new contact number. If you visit NY I would love to catch up. Please give Mr. Aoki my message.